Take a Day Tour over to Floyd’s Pelican Bar. 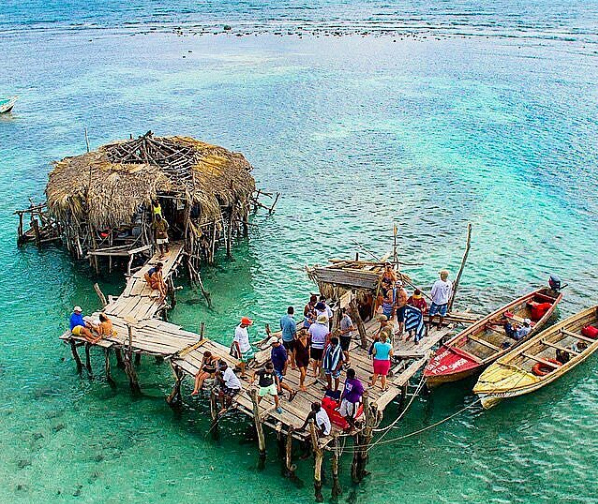 A one-of-a-kind watering hole located .8 miles from land in Jamaica. 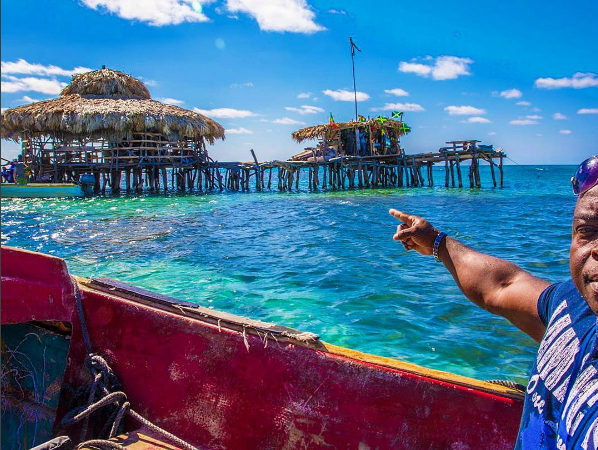 Located 19.9510 degrees North and 77.8429 degrees West, the pelican bar is one of the most prestige, frequently visited and highly rated bar here in Jamaica, found in the south coast of Jamaica St Elizabeth ¾ miles out in the sea. The journey to its destination alone is an epic one, just imagine, traveling by boat which takes approximately twenty minutes, feeling the cool breeze rush through your hair, soon to arrive to board walk leading up to a small bar, made entirely out of driftwood with nothing but cool water surrounding you. The Pelican’s Bar is the perfect place to take a swim, and if you can’t swim, no problem, the water is only waist deep. Highly considered to be the coolest bar in the world, it is the perfect get away, just imagine the cool water on your skin as you take a nice dip in the sea. The warm sun as it shines gently on your skin while the cool fresh sea breeze welcomes you. With all these fun and enjoyment you’re sure to get hungry, so why not dine on the freshly prepared lobster or fish, while holding a cold beer or two. Not to rush the Pelicans experience is one in a million and the design of the inside is very unique you can even leave a memento of your visit, like a carving of your initials or a message in the wood, leaving your imprint for all of those who comes after to see. The entire Pelicans experience is simple breath taking, it grantees a feeling of relaxation, and before you leave take a walk through the Pelican’s gift shop where you can find hand craft sculpture, paintings, hats, bags, t-shirts and trinkets for you to take back with you to remind you of the Pelican experience that you encountered, which is truly one of a kind.